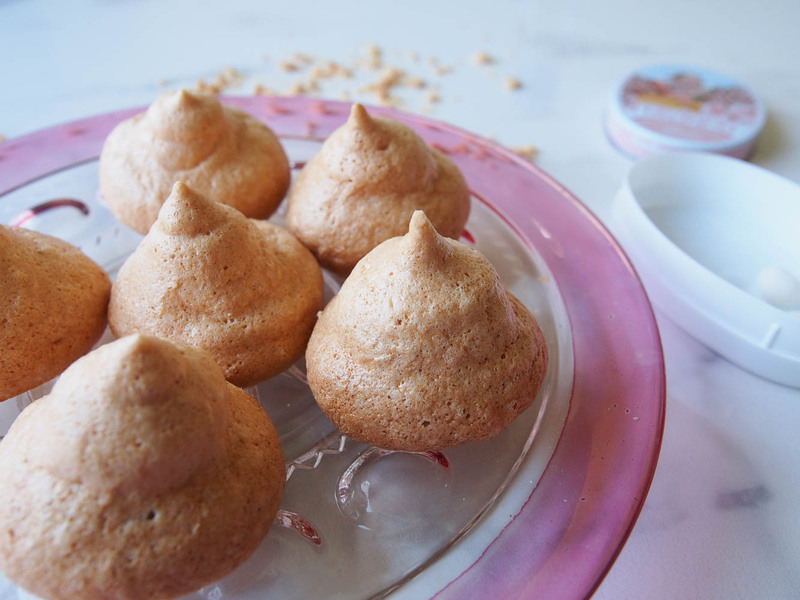 Meringues have been a favorite of mine for a long time. With very few ingredients, it is actually quite simple to make—provided you are making them under the right conditions. Below are a few tips to help you in your future endeavor. Do not attempt to make meringues on a hot and humid day. The ideal temperature is cold and dry. 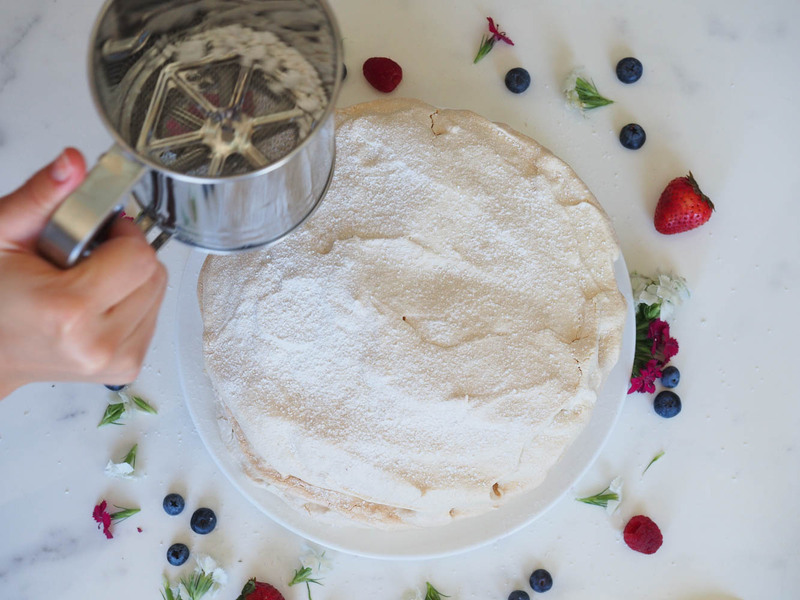 The humidity will stop the meringue from drying and will therefore “fall down” while baking. Room temperature eggs retain air better than cold eggs. But since we need to separate the white from the yolk, and it is easier to do so with cold eggs, I suggest separating them as soon as you take them out of the fridge and then placing them at room temperature for 20 minutes. As mentioned above, separating is done more easily when the egg is cold. Separating the white and the yolk in two small bowls instead of doing it straight into the large prep bowl will lower the chance of yolk finding its way in. This is crucial. Your egg beater, bowl, anything that will be touching the egg white must be absolutely clean and dry. Any hint of grease, including the egg yolk, will stop the egg white from storing air and expanding. A pinch of salt helps solidify the egg whites. Add sugar one tablespoon at a time to let the sugar dissolve slowly as you beat the egg whites. 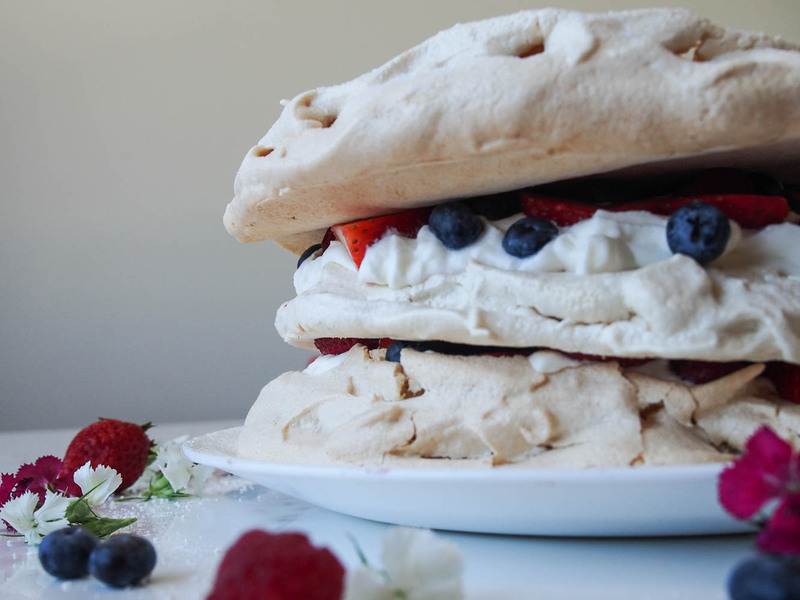 Beat until the meringue forms peaks and is shiny and sturdy. Do not over-beat, as the mixture could “fall back down” while cooking.